I have lived in Clear Lake Shores since 2014 and once before in the late 1980’s. My wife Teresa and I chose Clear lake Shores for being able to be on the water and the instant relaxation you feel when you crossover the bridge coming home in the afternoon. We had been living in “developed” subdivision and knew we wanted almost everything opposite that it had to offer. Clear Lake Shores is the epitome of a small town with a sense of community you just can’t find anywhere making it an amazing place to live. I was elected in May 2018, and as a council member I want to always keep that feeling alive and well here. I look forward to my grandchildren growing up seeing that no matter what the world has going on…Clear Lakes Shores is a community where the word “neighbor” still means something. I graduated from the University of Houston with an Electrical Engineering degree and currently work at the Neutral Buoyancy Lab at NASA where I am the Operations Manager. I started at NASA at the WETF as a safety diver while attending college and since have had various positions within the NBL before becoming the Operations Manager. As the Operations manager I oversee 120 employees and work with 5 different sub-contractors and manage a budget of $15 million a year. I also own a Pool Company that I started in high school that has been a successful business for 34 years. I have previously served as the chairman pro tem of the waterfront compliance committee. 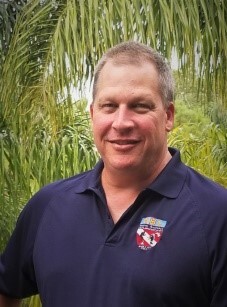 Over the last 18 years I have volunteered for the Clear Lake Chamber of Commerce, League City Intermediate PTA Board, served as President of the League City Swim Team as well as treasurer then President of the Clear Creek Swim League which oversaw 21 swim teams. I believe my extensive background with budgets, working with multiple contractors and community service allows me to be a fair impartial city council member. I have learned throughout the years that not only listening but actually hearing what people want is vital to success. I have witnessed how easily the Islanders can be divided over issues, and I believe that our residents should always be the most important factor in decisions for our community. I feel I bring problem solving skills to help this become a reality. It is my honor and privilege to serve this community and be your voice on council while helping to bring transparency & communications to the forefront in Clear Lake Shores.